Bookmarking Direct-Hit (also known as adding a Favorite)? How to Install an ICON on the Windows Desktop? 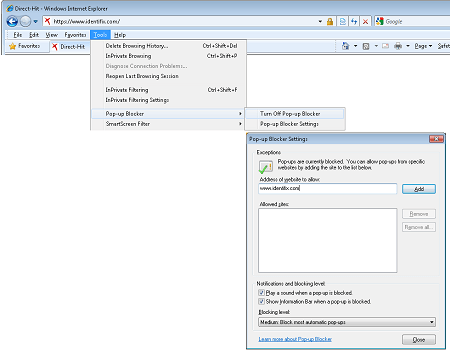 How to add Direct-Hit to my Internet Explorer Pop-Up blocker settings? How do I load my logo for the Factory Scheduled Maintenance Plan? Why can’t I open a TSB, Article, or Factory Scheduled Maintenance Plan? Why do I see the ‘Your Session has been Terminated’ Screen? Do I need to set the correct Date and Time? How do I use the “Help” and “Contact Us” pages? I can’t find a wiring diagram, how can I find it? I have a recommendation, who should I speak to? I want to change my username, how can I do this? I want to add usernames, who should I speak to? I want to talk with a real person, how can I do this? Who should I call if I am still having trouble getting Direct-Hit to work on my computer? Make sure you are at the Login screen, www.identifix.com. Press and hold the ‘Ctrl’ Control key down while hitting the ‘D’ key to automatically add the Login home page to your Favorites. This shortcut key action (‘Ctrl-D’) will not visually display anything, but it will put the current page viewed into your Favorites/Bookmarks. You can find the new link created by select the menu item Favorites (or Bookmarks for FireFox or Netscape) in your browser menu. Note: You should not bookmark any page other than the Login page. 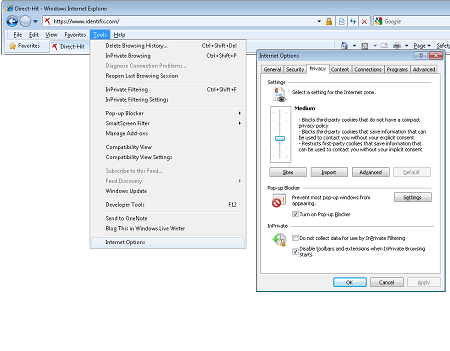 The reason—if you bookmark a page after the login screen, this may cause a session error, because the current session was not properly created by logging in at the Login home page (www.identifix.com). How do I correct a bookmark that brings me to a Session Error? Select the menu item Favorites on the browser menu. Select the menu item Bookmarks on the browser menu. 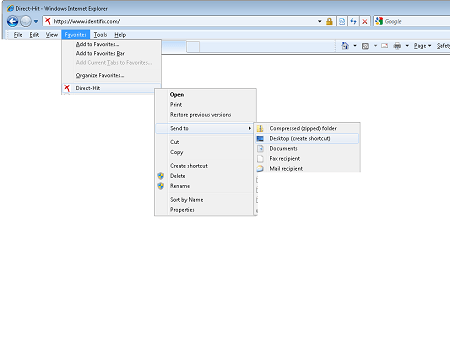 A shortcut icon can be added to your computer desktop to allow you to quickly open a browser to the Direct-Hit site. Select the menu item Favorites and highlight ‘Direct-Hit’ (do not click yet). Once the selected link is highlighted RIGHT-click and an additional pull down will be displayed. Next highlight the Send To option as shown in the picture and select (LEFT-click) Desktop (create shortcut). LEFT-click the icon next to the address text starting “http://www…” and drag it to your desktop. Congratulations, you created a link to the Direct-Hit Login home page. Now you may double click that link on your desktop anytime you need to login to the website. Cookies are required to use Direct-Hit. Select the menu item Tools and select Internet Options. A new dialogue window will pop up. Select the Privacy tab in the upper left hand corner and Change or confirm the slider bar is set to Medium, then click OK. Your browser should now have the amount of security needed to use the site. Select the menu item Tools and select Options…. A new dialogue window will pop up and display your settings. Select the Privacy tab and then select the Cookies sub tab. Check the checkbox that is titled: Allow sites to set Cookies, then click OK. Your Pop-Up blocker will need to allow pop-ups on this site since some data pages on the site open using a page that uses pop-up scripting. Open your web browser to add Direct-Hit to your pop-up setting. Select the menu item Tools and then select Pop-up Blocker, then Pop-up Blocker Settings…. A new dialogue window will pop up and display your settings. Type www.identifix.com in the text box below the heading: “Address of Web site to allow:”, and click the Add button to the right. Finally, click OK. This will put www.identifix.com in your Allowed sites: box as shown in the picture. Select the Content tab and then click the Allowed Sites button. Type www.identifix.com in the text box below the heading: “Address of Web site:”, and click the Allow button. Finally, click Close. This will put www.identifix.com in your Allowed sites list. If you are using a 3rd party Pop-up Blocker, please see instructions provided by the software manufacturer on how to add allowed sites to use Pop-ups. If you do need additional assistance, click on the “Contact Us” link at the bottom of any page on Direct-Hit and email or call a member of our Support Team. Here are the steps to change your password for the Direct-Hit site. Press the Confirm Password button. Next time you log into Direct-Hit, you must use your new password. If you do need additional assistance, have lost or cannot remember your password, click on the Contact Us link at the bottom of any page on Direct-Hit and email or call a member of our Support Team and we will be glad to assist. There are many different photo editor software applications that will allow you to resize an image. Remember when you resize your image to keep it within these constraints; logo size needs to be within 75h x 150w PIXELS (1.04 x 2.08 inches OR 2.64 x 5.29 centimeters). If you do need additional assistance, click on the Contact Us link at the bottom of any page on Direct-Hit and email or call a member of our Support Team. Two issues may be causing this condition. Adobe Reader is required for many documents on Direct-Hit. Direct-Hit also occasionally uses pop-ups to display certain types of information. Check to make sure you are using Adobe Reader version 7.0.8 or higher by clicking the System Requirements link located at the bottom of most site pages. 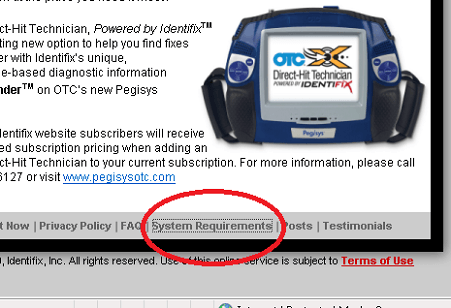 The system requirements page will evaluate your system and notify you of any requirements that your system has not met for accessing Direct-Hit. If you do not have Adobe Reader loaded on the terminal you are using, please navigate to www.ADOBE.com and download the current version by clicking on the icon labeled download Adobe Reader. 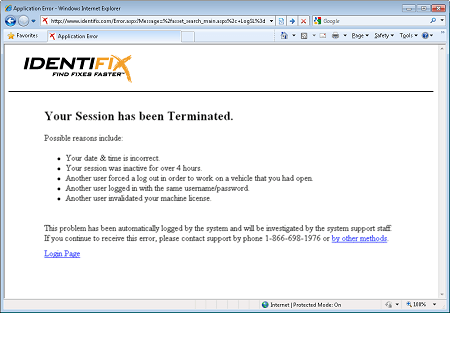 Second potential issue is that you have your pop-up blocker on, and have not added www.identifix.com as a site. To add Direct-Hit as an allowed site, please click on How to add Direct-Hit to my Internet Explorer Pop-Up blocker settings (shown above). For security reasons, we create what we call a ‘Session’ that identifies you and your right to be on the site. Sometimes, your session becomes invalid and you can no longer use the site until you log back in. Your date & time is incorrect. Your session was inactive for over 4 hours. Each day the site does an Automatic Clean Up to terminate sessions that are not actively used. Another user forced a log out in order to work on a vehicle that you had open. Sometimes people leave work without logging out. If they have a Repair Order open, you will see the text “In use by John Smith” next to the vehicle. If you select that vehicle you will automatically logout John Smith. Another user logged in with the same username/password. For security reasons, you may only be logged into the site once. If someone tries to login using your username and password while you are already logged in, they will automatically log you out. Another user invalidated your machine license. For security reasons, your shop has a limited number of distinct computers that can be used to access the site. If you want to use more computers than you have licenses, you can move licenses from computer to computer. If a license is taken away from someone currently logged in, they will automatically be logged out. You “Deep Linked” into the site without logging in. For security reasons, we do not allow people to use our site without first logging in. If you deep link into the site, the site considers this a session terminated situation. Correct Date and Time is important to avoid possible Session Terminated errors. 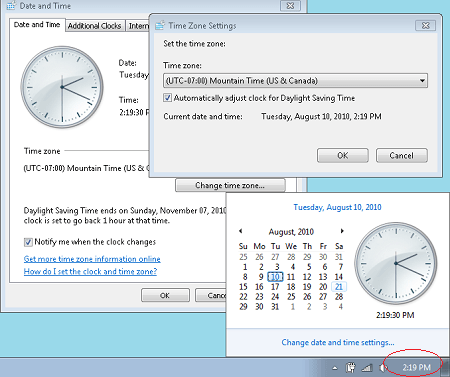 How to check your computer Date and Time. In the lower right hand corner of the desktop you will see the current time on the computer being displayed. 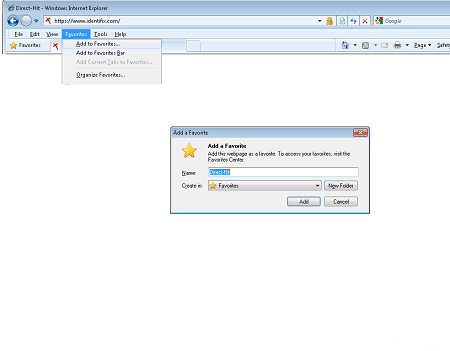 Double-Click the time and a dialogue window will be displayed (upper left hand picture on the desktop). Verify that the day, month, year, and time are correct. You may also want to make sure that the correct time zone is used as well. To adjust the correct time zone, select the Time Zone tab in the upper left hand corner of the displayed box. Select the appropriate time zone provided within the highlighted pull down menu (picture far right on desktop), then click OK.
Once these adjustments have been correctly made click the Apply button (lower right hand corner of box) followed by the OK button. Re-launch Internet Explorer or your preferred browser, and Login to Direct-Hit. All these questions below can be answered utilizing the Help or Contact Us link within Direct-Hit. You can find these links on the bottom of any page you are viewing online. Clicking either link will take you to the same page being displayed. You may either use any of the Toll-Free numbers to contact someone or use the Contact Form (lower right) by clicking the link having the text: “using our Contact Form”. From this screen you may fill out your request and submit it. After submitting your request an email will be generated to the corresponding department team. One of the team members will contact you as requested and assist you with your request. For aid with navigation on the Direct-Hit website, additional training, locating specific information, system compatibility issues, or to add, delete or make changes to users and passwords, please use our Contact Form or call 1-800-745-9649. To reach the Identifix Repair Hotline to obtain assistance in diagnosing or repairing a vehicle, use our Hotline Call Request Form or call 1-800-288-6210. For billing or other account-related questions or concerns, please contact us by using our Contact Form or call 1-800-745-9649. Select SUBSCRIBE to request purchasing and pricing information, use our Hotline Call Request Form or call 1-800-745-9649 and press 3 to talk to a sales person.